We not only encourage our students to give back to their community by volunteering their time and energies, but we also encourage parents to participate in school improvement projects. We believe direct involvement is the best way to make the world around us a better place, generating a sense of belonging and pride. 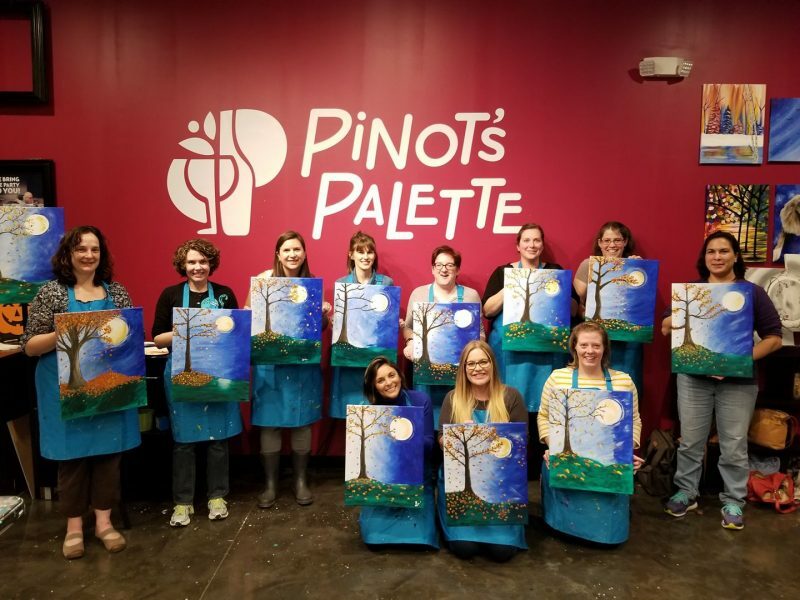 If you want to find out the best ways to get involved in the school community, look no further than the Parent Support Group, which provides opportunities to build relationships among Heartwood families as well as organizing special events, school improvements and fundraising activities. This sweet video was made by one of Heartwood’s talented middle school students and really captures the heart of our school. At Heartwood, we are family. 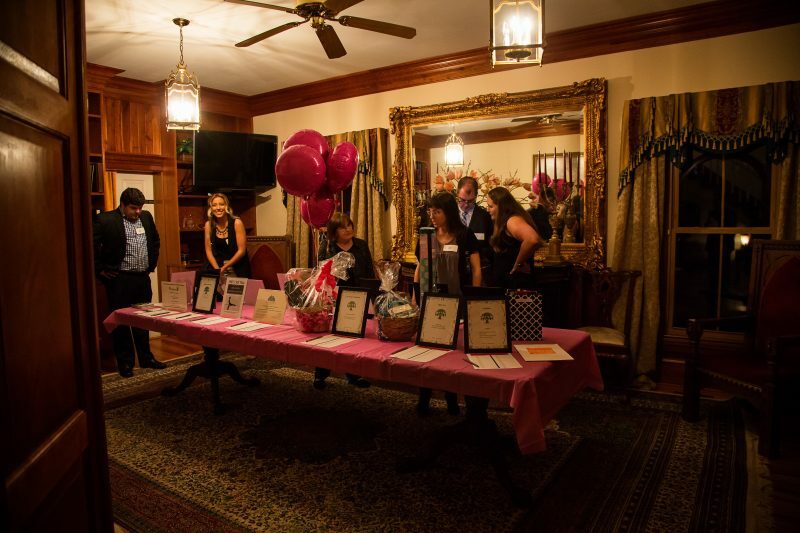 In 2016, we celebrated Heartwood’s 25th anniversary with a reception and silent auction at the Matthews House, attended by 200 parents and alumni. 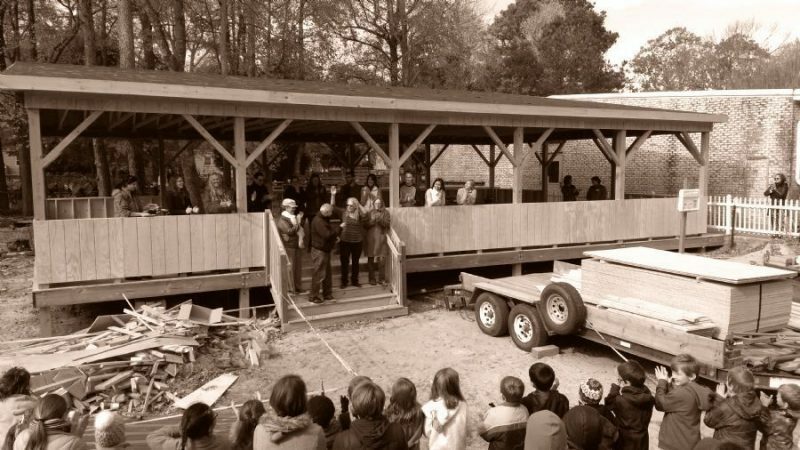 Thanks to our community’s generous participation, we were able to raise enough funds to build the Darden House, a multi-purpose outdoor room which has since been used for everything from PE to the Thanksgiving Feast. Music and entertainment were provided by our own Ms. Lynda, with her husband Jamie Dawson and Patrick Walsh of the Bluegrass/Americana band Kickin’ Grass, and Heartwood’s piano teacher James Catton, who also DJed and MCed for the event.